The fastest and easiest way to transfer content to your website space is via file transfer protocol. The full term is usually shortened to FTP. 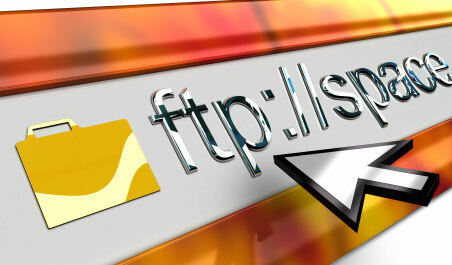 FTP is an easy to use protocol that will allow you to build your website on your own computer and upload them with your directories intact. Even updating just a few files or uploading an image will usually be faster than using web interfaces that usually available through your website’s control panel. While FTP clients are not complicated to figure out, if you have never used one, it may seem complex the first time around. In this article, we provide a step-by-step guide on how to easily upload content from your computer to your website server using a File Transfer Protocol client. There are many FTP clients available for use, and the free ones are often just as good as the paid clients. Two nice clients to use that are easy to set up are CoreFTP and FileZilla. The installation should be fairly straight forward. Double click on the executable (.exe) file from your download location and proceed with the installation instructions. If the Windows User Account Control (UAC) dialog comes up, allow the installation. You’ll also have to choose a name for the connection. The easiest way to choose a name is to name it after the website you’ll be uploading to. Save the site in the dialog window. Port information: The default FTP port is 21, and most FTP clients automatically default to 21. However, if your web server uses a different port, please enter that number or you won’t be able to connect. Once your site is saved, click on “Connect” in the dialog window. Some clients will close the Site Manager once you’ve saved the connection details. Simply open it again. You may need to adjust firewall and router settings to make a successful connection. Disconnect and close the client. Once completed, navigate to your website’s address in a browser and see your new content. This entry was posted in Guides on July 7, 2012 by Jared C. Brown.